Pet Nutrition – How Much Fat Is In Your Pet’s Food? Pet obesity, with both cats and dogs, is a serious problem and one that dramatically affects the health and quality of our pets’ lives, as well as their longevity. Since we control what our pets eat, we can help them stay fit. One way we can do that is by paying attention to the fat content of the food they eat. The first step in understanding the fat content of your pet’s food is to learn some basic rules of thumb; a gram of protein contains four calories whereas a gram of fat contains nine calories, over twice the number of calories for the same weight. When you look at the label of a can of cat food, and you see 10% protein and 5% fat, you logically think it has twice as much protein. However, from a caloric perspective you are getting 45 calories from fat versus 40 calories from protein. With that food, your pet would be getting over half of their calories from fat. That is simply too much fat! Now you might think, yes but the canned food I purchase is labeled 95% meat so it must be equivalent to the 95% lean ground beef I buy for myself at the supermarket. Take another look. That can of 95% meat food may be only 6% protein and a whopping11% fat which means that 75% of the calories are coming from fat! Now who would buy that? The following table illustrates the differences between 3 canned cat formulas. Remember, the %fat should ideally be much less than the %protein. As trainers and behavior consultants, it is essential for us to consider whether or not a pet’s basic needs are being met if we are to offer our clients the best possible training and behavioral advice. This becomes even more important when facilitating the treatment of “problem behaviors,” as these often manifest when a pet’s welfare is compromised or when basic needs are not being met consistently. Brambell’s Five Freedoms are a very useful set of guidelines for assessing a pet’s welfare and developing a corresponding training, behavior modification, and management plan. While originally intended for farm animals, the freedoms can be applied to any animal that is kept by humans. During my training in the Bach Practitioner program in the U.K., we discussed how Brambell’s Five Freedoms applied to dogs, cats, cattle, horses, rabbits, hogs, ducks, and a variety of other species. It is imperative that we have adequate knowledge of a species’ husbandry requirements and natural behaviors in order to appropriately assess whether their freedoms are being restricted. Even when we do have adequate knowledge, we may find that the freedoms sometimes conflict with what are considered best practices. Likewise, they may be inconsistent with what may be necessary to protect a pet or others. Not everything is black and white, and considering the freedoms over the years has brought me many answers, but also many questions for which I have no definitive answer. I invite you to consider some of the questions that have occurred to me and contemplate how you would address them within Brambell’s Five Freedoms. Ensure the animal is free from hunger, thirst, and malnutrition. Does the type of food matter? Cats are true carnivores and most dogs, if left to their own devices, would eat a diet with very few carbohydrates. However, the average dog and cat are fed a diet that is probably at a minimum composed of 40% carbohydrates. Both dogs and cats would usually be eating fresh food, yet most pet food is highly processed. Feeding a pet as naturally as possible is not inexpensive. Is it better to have one pet and to feed him really well, or is it better to have multiple pets for social interaction? What about pets on prescription diets? They may need it for disease purposes, but is it optimal nutrition? Which takes precedence? 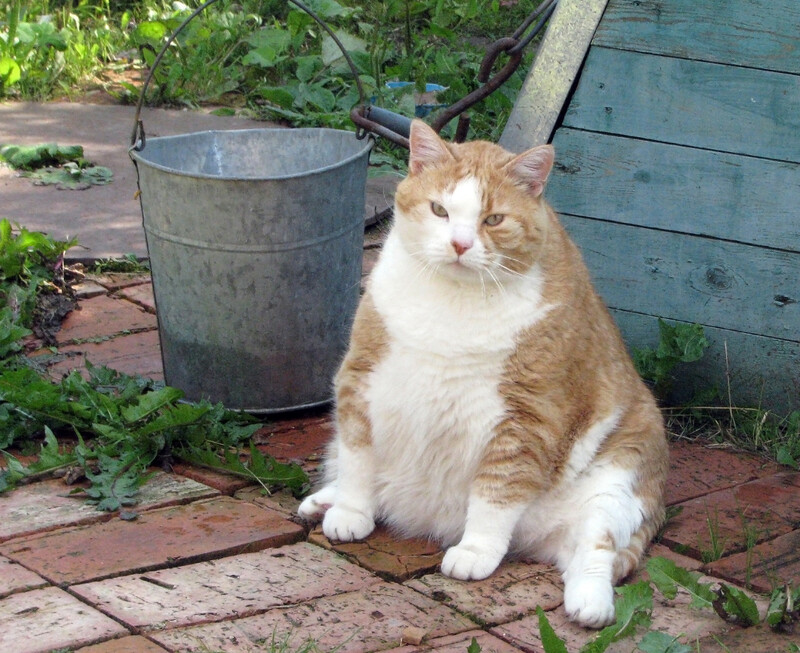 Many pets in the U.S. are obese, clearly due to overfeeding, improper diet, and lack of exercise. How does an animal’s obesity affect its welfare? Does the source of water matter? Cats often depend on getting the majority of their hydration from eating live prey, yet few cats have that opportunity in today’s world. Would they drink more and have fewer urinary issues if they had ready access to fresh meat and running water? If you don’t drink from your tap, should the animals? Ensure the animal is free from discomfort. Originally this freedom focused on shelter, and seemed relatively straightforward: make sure animals always have adequate shelter from temperature and weather extremes. However, there is much more to comfort than hot versus cold and dry versus damp. Animals need down time. Does the pet have a quiet, comfortable resting place where he can be undisturbed and where he will feel safe? Is the pet’s environment free from things that may cause harm and discomfort? Many people have multiple pets. Does each pet have adequate space, or are there too many animals for the amount of space available? 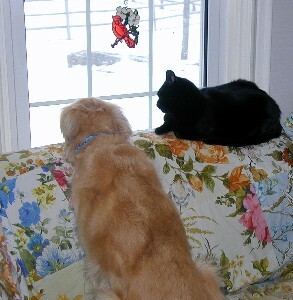 Do the pets get along and enjoy each other, or is there constant conflict? Are there sufficient resources for all of the animals? Breed also affects what an animal needs to be comfortable. Pets with long coats often cannot groom themselves adequately, and their hair can become tangled and matted, causing them discomfort. This becomes an even bigger problem if the pet is obese and as he ages. Are your clients making sure that their pets are adequately and properly groomed? Regular and as-needed veterinary care goes a long way toward meeting this freedom, but breeding also plays a huge role, as well as how we respond when a dog is injured or ill. Mental disease needs to be considered along with physical disease. Working dogs and dogs who compete in dog sports can experience injuries that cause pain. Is just using painkillers enough, or do we need to consider removing the dog from the activity causing the pain? Physical therapy for pets is still a relatively new treatment modality. Should it be a routine part of care for a working or competitive dog? Breeding has resulted in some pets who essentially have physical impairments that can affect their ability to breathe, to move, and even to give birth naturally. How much should these animals be put through in an effort to correct their conditions? How do we help our clients separate their emotions from those of their pet? How do we handle it when it is one of our own pets? Many purebred pets are susceptible to one or more genetic disorders, as well as physical conformations that often cause impairments. Are breeders doing everything that should be done to eliminate these disorders and create healthier pets? When clients are considering what type of pet to get, should we steer them away from certain breeds that have physical impairments or are prone to genetic disorders? How do we educate without being judgmental? Animals can experience mental disease and disorders (anxieties, phobias, dementia, etc.) just like humans. How do we reconcile that the treatments of these disorders are often not considered as important as physical disorders? Is it appropriate to breed a dog for behavioral traits that might be an asset for a dog who works or competes, but might negatively affect that dog’s ability to thrive as a companion dog? How do we best counsel clients who wish to keep their dog involved in activities that have great potential to exacerbate behavioral issues? The ability to express normal behaviors is often problematic, because many normal behaviors are the behaviors that people dislike the most (e.g., cats hunting and killing birds and dogs sniffing people’s crotches, to name two). Do your clients’ pets have an adequate and safe space in which to run and express normal behaviors, both indoors and outdoors? Are they provided with an opportunity to do so on a regular basis? Cats are all too often neglected here. Are they getting ample chase games? Is the environment in which the animals live suitably enriched so that it stimulates their minds? Do they search for their food or is it just dropped in a bowl? 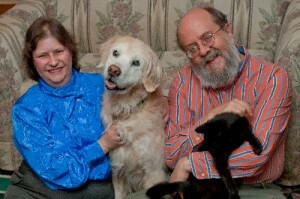 Do the pets have sufficient interaction with family members to establish a bond and to provide emotional enrichment? Are there opportunities to interact with suitable members of their own species, if they choose to do so, in a manner that is rewarding for all parties? Humans use dogs for a variety of jobs. Is it ethical to put dogs in working situations where they are not allowed to express many normal behaviors for most of their lives? There are a number of breeds that humans choose to physically alter by docking their tails or cropping their ears. 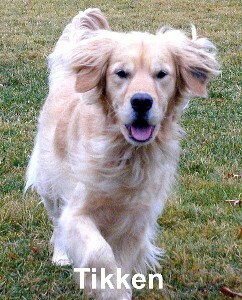 Tails and ears are both tools that dogs use to communicate with one another. Do physical alterations impair a dog’s ability to express normal behaviors and to communicate? 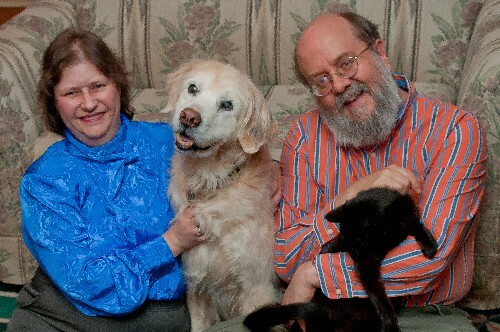 I truly believe that no psychologically healthy human would ever intentionally cause their pet fear or distress. However, a lack of knowledge — or incorrect knowledge — about animal behavior often is a cause of fear and distress in our canine and feline companions. Early socialization and habituation is key to freedom from fear and distress, as is ongoing socialization and enrichment throughout a dog’s life. What can we do to make clients, breeders, shelters, rescues, and veterinarians realize the importance of socialization and habituation? What can we do to help our clients to be successful in socializing their puppies gracefully and gradually without overwhelming them? Cats have an even earlier socialization period than a dog (two to five weeks). How do we make sure that breeders and shelters are aware of this and taking steps to accomplish this? Should we be discouraging clients from adopting kittens that have not been properly socialized at this age? What about the feral population? Is it just kinder to leave them be? Additionally, many animals have a more fearful baseline, either due to genetics, prior history, or a combination of both, and with the best of intentions, well-meaning pet owners throw the animals into situations that involve flooding to re-socialize them. How do we decide when enough is enough? At what point does management become preferable to continued trials of desensitization and counter-conditioning? Dog bites, especially of children, are a significant problem, and are often caused by a dog who is afraid or is otherwise under stress. In some cases the child is the direct cause of that fear. How do we convince the dog-owning public and the non-dog-owning public of the importance of learning basic canine body language so that many of these bites can be prevented? 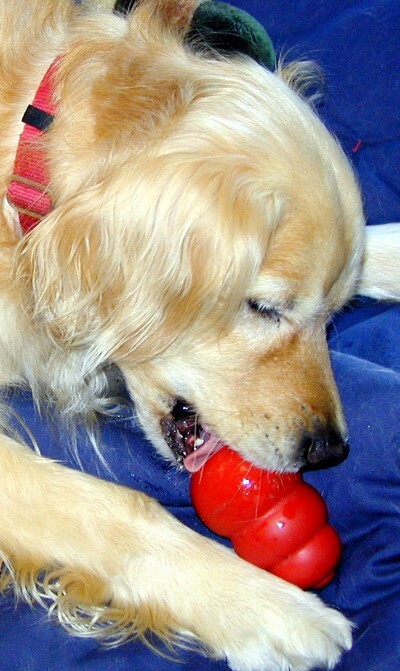 A lack of adequate physical and mental stimulation can cause a pet to be distressed. How do we help clients understand and find the time to ensure that their pets get appropriate amounts of stimulation and exercise? On the flip side, too much stimulation and exercise can also be detrimental, causing a state of chronic stress. Many dogs will not do well in a daycare setting, playing all day or going for a five-mile run every morning. How do we educate our clients and others in the industry that too much activity can be as detrimental as not enough activity? How do we help clients to find the balance for their pet between too much and not enough? While both the domestic dog and domestic cat are considered to be social animals, some are more social than others. Feral dogs and cats choose which bonds to form; in most households, humans choose which pets live together. How do we get clients to understand that pets who do “okay” together may not be thriving, and may be living under stress? Is that fair to either pet? Should one be rehomed, or would that be worse? If so, how do we counsel clients about which one should stay? Communication and understanding are the cornerstones of good relations. How do we get the dog-owning public to understand that learning dog body language and training their dogs with reward-based training is key to ensuring that their dogs do not live in fear and distress? Stress comes in two varieties: distress (scary things, trauma) and eustress (excitement). Whether distress or eustress, what happens to the body physiologically is very similar, and being in a state of frequent eustress or distress can have negative impacts on health. How do we get people to understand that, while occasional, moderate distress and eustress is in fact essential to life (and unavoidable), high or frequent doses can be extremely detrimental? How do we help them balance and manage their pets’ lives to avoid long-term, high levels of stress? 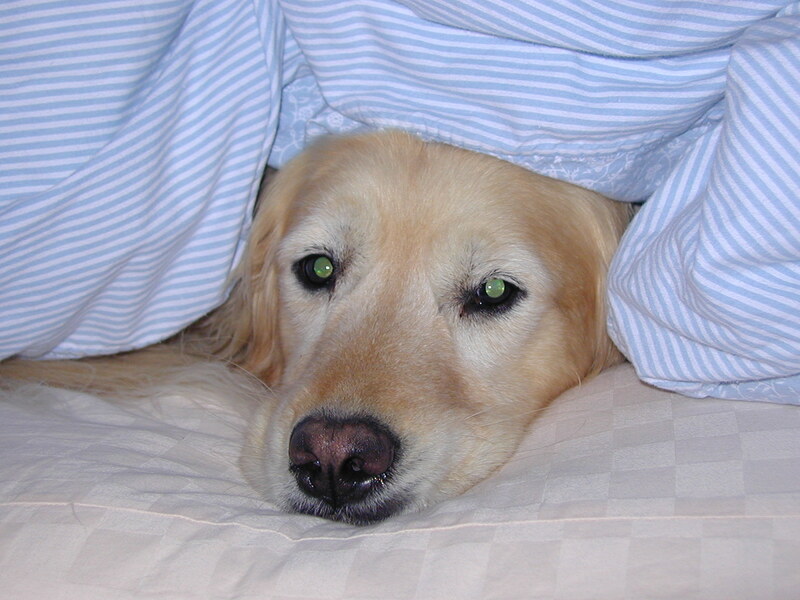 If going to the vet is causing extreme stress, yet is necessary for freedom from disease and pain, how do we respond? Which carries more weight? As trainers we may choose to put our own dogs into situations where they serve as a decoy dog while we evaluate a client’s dog-aggressive dog. Even though we take great effort to prevent physical and emotional harm to our dogs, the latter is not always easy to measure at the time. Is it ethical to place our dogs in this situation? Working with dogs, and observing others working with dogs, is an essential part of how we learn to become better trainers. Is it fair to bring out a dog who is experiencing fear and distress and to use him in a demonstration in front of a group? Can we come up with a better way for us to learn, without causing dogs even more distress? There are not necessarily any straightforward answers to satisfying Brambell’s Five Freedoms for all animals in all situations. As with any treatment or training plan, all factors need to be considered and weighed. I encourage you to spend some time thinking about the freedoms and how they apply to the animals in your life, the global ethical questions they bring, and also learning how you can use them to help your clients and their pets.